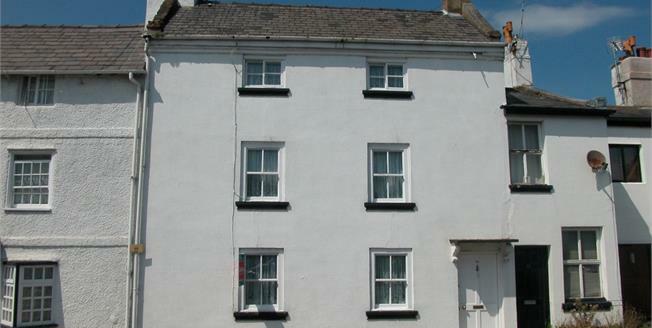 14 Station Road is a Grade II Listed three storey cottage, believed to date back to the 1700's. Although not directly on The Parade, sideways views across the Estuary to the Welsh Hills are enjoyed from the front. Although a little up dating is required, this is a charming character home with great further potential. On the ground floor is a lounge/dining room, along with a fitted kitchen with utility room off. On the first floor is a large landing, which is currently used as a sitting room area, with a bedroom off, whilst the master bedroom occupies the entire second floor. This is a lovely large room, but could be split into two, if additional bedroom accommodation is required. There is a gas fired central heating system, and an enclosed yard to the rear. Historic properties in Parkgate are in demand, and we would strongly recommend early arrangements to view. The centre of Neston market town nearby offers a wide range of amenities. LOUNGE/DINING ROOM 20' 6" x 11' 6" (6.25m x 3.51m) two windows to front, radiator, stairs to first floor, ornamental fire surround and period built in cupboards. KITCHEN 14' 7" x 8' 5" (4.44m x 2.57m) fitted with a wide range of units comprising sink unit in base unit, further range of base units with cupboards and drawers, good range of work surfaces and wall cupboards. Gas four ring hob, built in oven, gas central heating boiler. Door and window to rear. UTILITY ROOM 10' 10" x 6' 8" (3.3m x 2.03m) with plumbing for washing machine, sink unit and appliance spaces. LANDING 14' 0" x 11' 6" (4.27m x 3.51m) a large landing, currently used as a sitting room/study with window to front, radiator and stairs to second floor. BEDROOM 2 12' 1" x 11' 7" max (3.68m x 3.53m) window to front and radiator. BATHROOM with coloured suite comprising panelled bath, pedestal wash basin, low level w.c. airing cupboard, radiator and window to rear. BEDROOM 1 22' 4" x 11' 9" max (6.81m x 3.58m) with two windows to front, two built in wardrobes. Please note this large bedoom could potentially be sub-divided into two, if more bedroom accommodation is required. OUTSIDE there is an enclosed courtyard to the rear, accessed from the kitchen. EPC Please note that as this is a Grade II Listed property, no EPC is required. PARKING Please note that although there are double yellow lines directly outside the property, the parking on this side of Station Road is not restricted, apart from the short section of double yellow lines, that run between the subject property and The Parade.